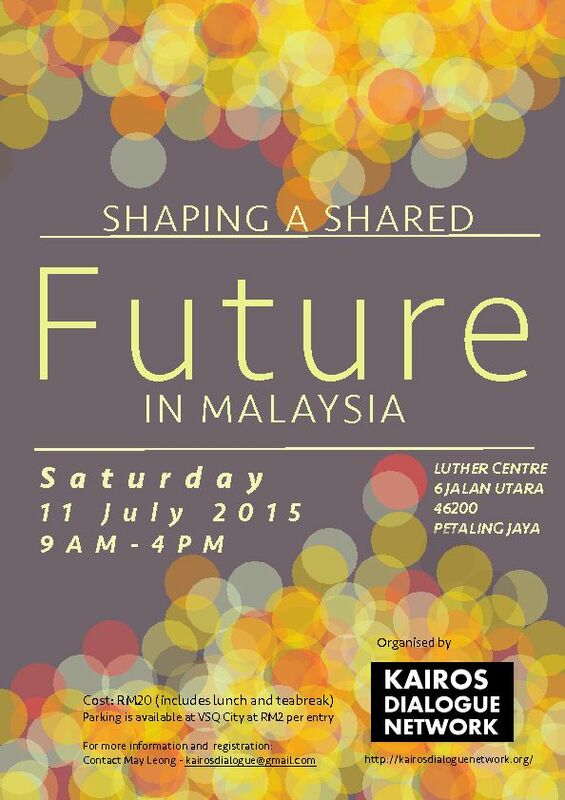 Kairos Dialogue Network would like to invite Christians in Malaysia to a one day conference on Saturday, 11 July 2015 at Luther Centre. 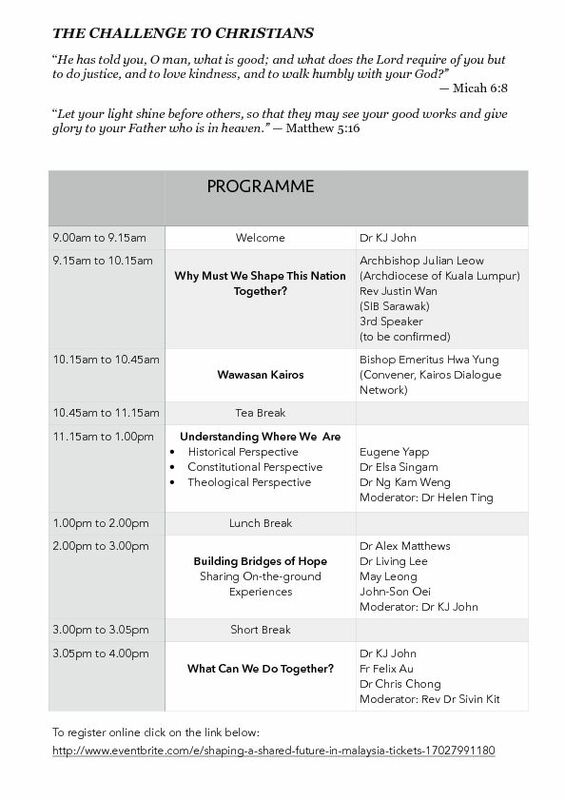 The purpose of this conference is to launch and share a Christian social vision for a shared future in Malaysia. Kairos Dialogue Network invites all Christians from different denominations to support one another and commit themselves towards transformative actions at the individual, church, community, and national levels. For more information on the programme and speakers please refer to the attachment with this email.